Best Shipping Pet Airlines Recognized by IPATA! Separate awards were given to the best pet shipping airline in the Americas, in Asa/Oceania, in Europe and in the Middle East/Africa regions based on the IPATA member airline with the most votes in each region. IPATA applauds the following member airlines that are truly exceptional in the quality of pet transportation services they provide to our industry. Photo: (left to right) Manuel Leunda, IPATA Past President, Simon Jackson, IPATA President and Greg Johnson, Cargo Manager, Emirates SkyCargo Australia. 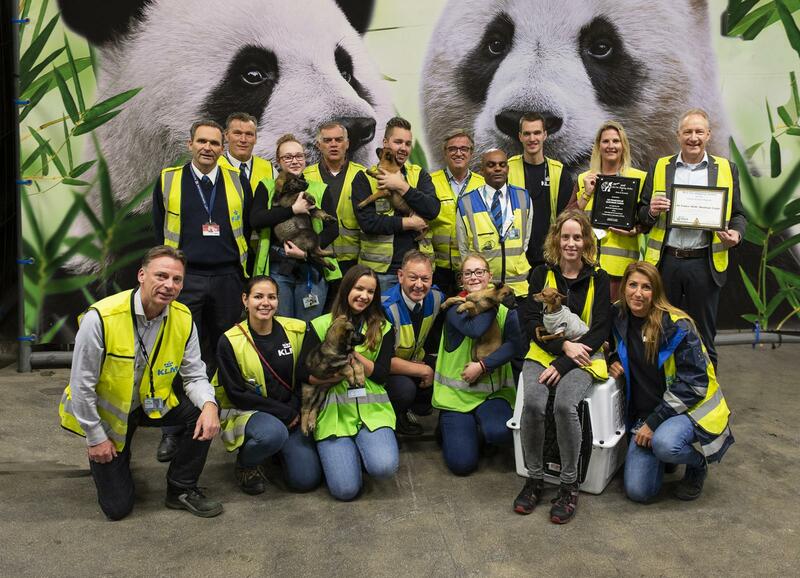 Chris Dehio (Senior Manager, Global Key Accounts at Lufthansa Cargo AG) who received the award from IPATA in Australia was proud to present the award and certificate to Sabine Grebe, Head of the Frankfurt Animal Lounge, and to the entire Animal Lounge Team.